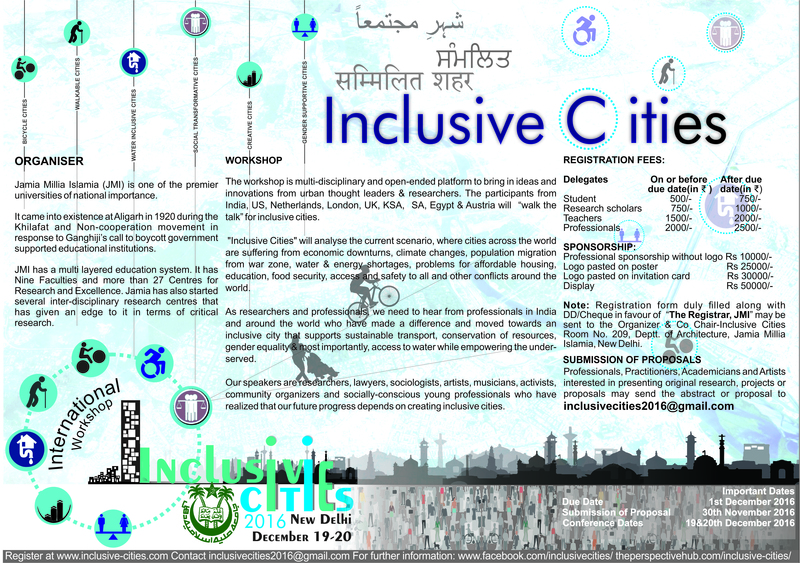 Inclusive Cities | Workshop, 7-11 Jan, TRB Washington D.C. 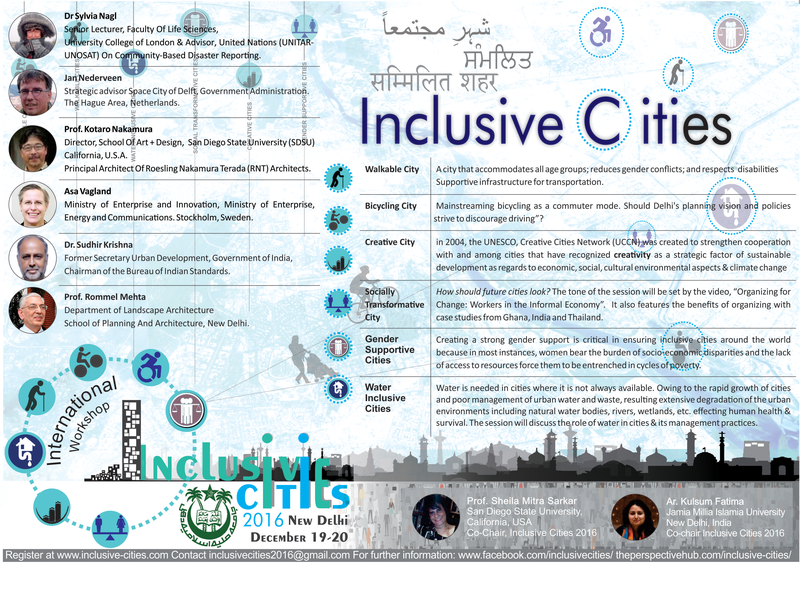 The inclusive-city workshop seeks to seek to bring together international and national urban thought leaders and researchers to share their work in making cities inclusive. Cities can never be planned designed in studios. Cities are organic and the needs are not frozen in time when the design was created. Moreover, cities around the world are suffering from economic downturns, climate changes and the population migration from war zone and other conflicts around the world. While we stand together to provide affordable housing, education, food security, access and safety to all, we also need to be cognizant that there are limited resources that need to be used creatively and wisely. In most instances, creating a strong gender support is critical in ensuring inclusive cities around the world because, in most instances, women bear the burden of socio-economic disparities and the lack of access to resources force them to be entrenched in cycles of poverty. Gender supportive role also requires empowering women both in the cities and in rural areas. 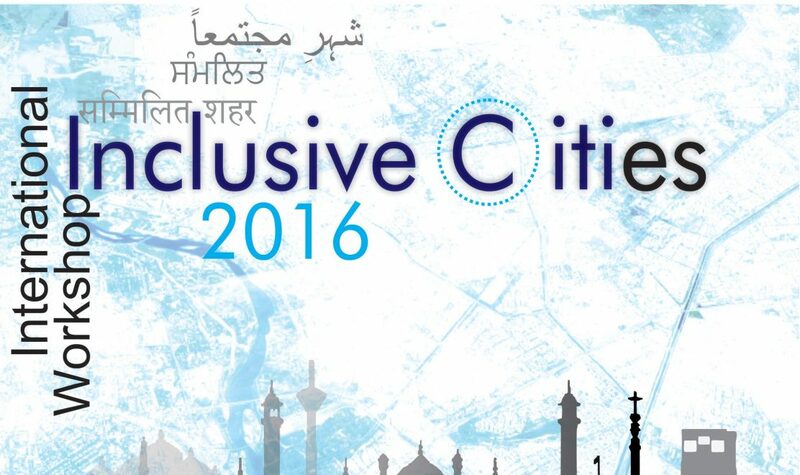 As researchers and professionals, we need to hear from professionals in India and around the world who have made a difference and moved towards an inclusive city that supports sustainable transport, conservation of resources, most importantly, access to water while empowering the under-served. Our speakers are researchers, lawyers, sociologists, artists, musicians, activists, community organizers and socially-conscious young professionals who have realized that our future progress depends on creating inclusive cities.